Weeknight meals are about to get a whole lot better! Mel Joulwan has Well Fed Weeknights ready to release on November 1st. I have been a huge fan and follower of all things Mel since her first book held my hand and led me through my first Whole 30. Back then, I was sure I would never go Paleo. I even boldly shared my stance with anyone who would listen. However, as most things filed under “never”, I had a change of heart. The success of that first Whole 30 led to where I am today. 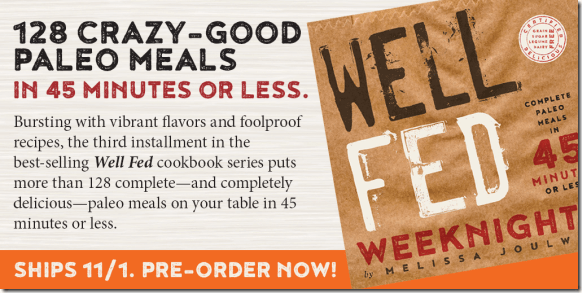 Mel Joulwan is one of the most REAL cookbook authors in the Paleo tent. By “real”, I mean she can make hot dogs look and taste gourmet without spending away my running shoe fund. She doesn’t try to be fancy, but her weeknight dinners are way above mundane. I love to cook, but I still get in those ruts of the same 5 meals every week. All I have to do is pull out one of my 3 Well Fed books and go to the regular grocery store. I even have enough money left over for ice cream, because…..my “not Paleo Perfect” hat occasionally comes out for chocolate swirl and red wine. 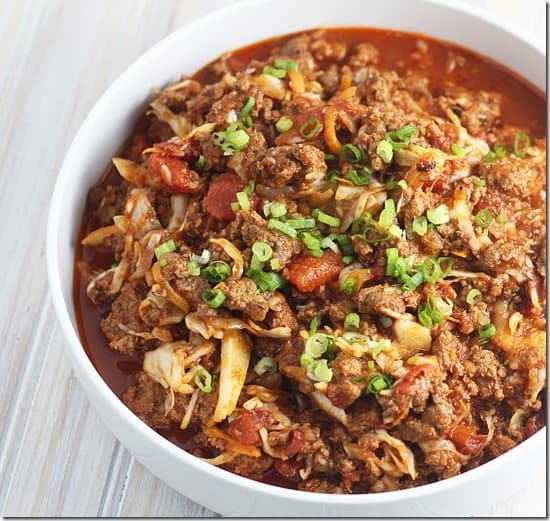 Before I get to the recipes I tried this week, take a look at what is inside Well Fed Weeknights. 128 recipes. NEW recipes. Amazing recipes. You want these recipes. most recipes are 30 minutes are less. A few take a little more time up to 45 minutes. That includes prep. 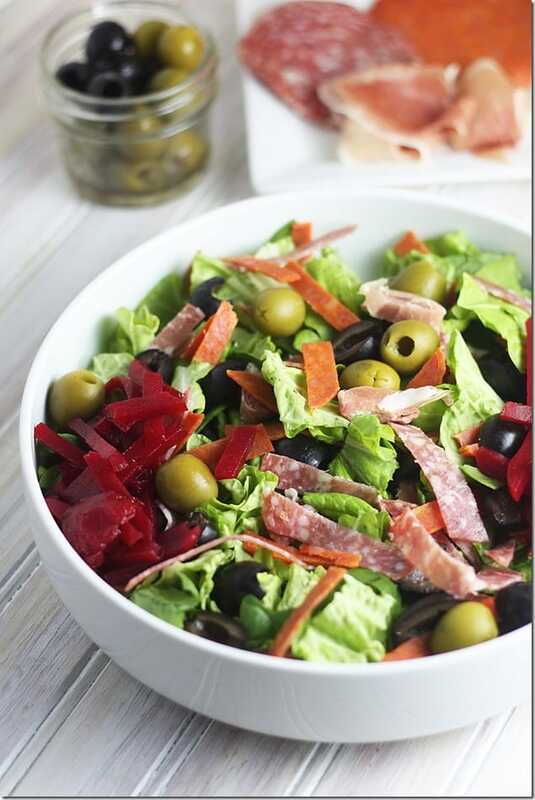 All recipes are free of grains, legumes, dairy, soy, and alcohol. EASY recipes with ingredients from the grocery store. 140 full color pictures and illustrations. Visual learners like myself NEED pictures. If you pre-order NOW, you’ll get some bonuses. With each book you order, the bonuses get bigger. Discounts from Paleo favorites like Butcher Box, Thrive Market, and Paleo Magazine are all things you will love and use with your new copy of Well Fed Weeknights. Honestly, I have never seen a promotion like this one. I WISH I had Thrive market and Paleo Magazine nearby when I first started my Paleo journey. 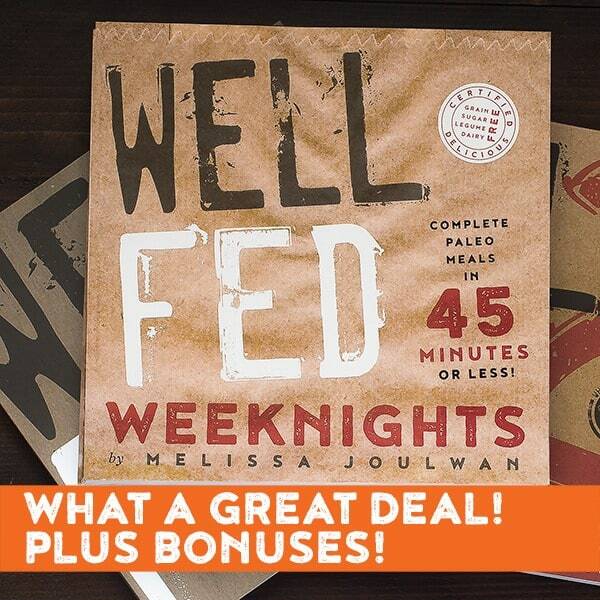 And right now, if you buy Well Fed Weeknights through the Mel store for the cover price ($24.95), you can get the first 2 Well Fed books for $10 each. That is cheaper than through Amazon. Need more information? The best is last. Check out the Sampler of Well Fed Weeknights. Just look for yourself. And again, I have never known of another cookbook author to GIVE away so much information about their book. The reason is simple. Once you see the samples, you’ll want the book. 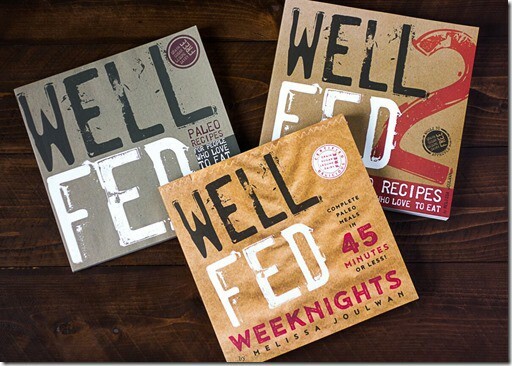 I myself am ordering extra copies of Well Fed and Well Fed 2. Look at these recipes and make a list. Your journey to better health is about to have an amazing start. And finally, what did I cook ASAP? It was a very hectic week with after-school meetings and Stephen in the middle of a massive project at work. We didn’t want nor have the time for anything difficult. However, these 2 dishes were instant favorites and have been added to my dusted-off “must keep handy” list. I am looking forward to trying so many new recipes this fall and winter. There is nothing better than a cold night with comfort food. Healing food. Well Fed food. I hope you enjoy this book as much as I have.